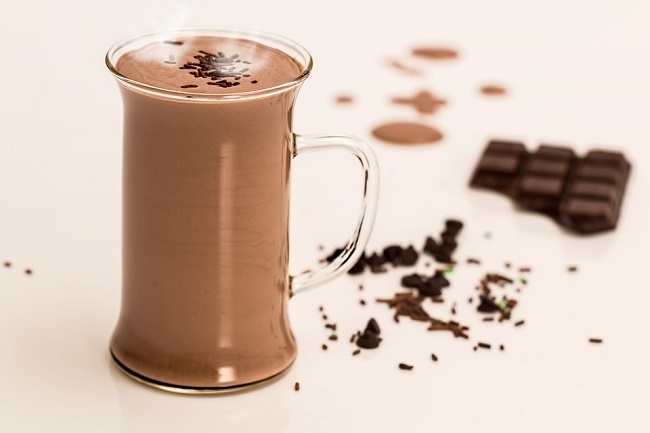 We all love chocolate, from the dark and bittersweet bars to the creamy milk chocolates and the warm, thick hot chocolates, but did you know that this popular dessert can help you in easing a sore throat as well? Well, now you do, and you do have an alibi now to get some chocolate when you catch a cold and feel unwell. According to a study named ROCOCO, chocolate syrup can lead to a significantly decreased level of pain for those who are battling a sore throat. In the study, the researchers gave a conventional syrup to one group of volunteers, and gave the same syrup, but with chocolate, to the other group of people. Those who received the syrup with chocolate had seen their sore throat improving more rapidly - after two days on the average. And according to an other study, chocolate can efficiently ease coughing thanks to the theobromine that's found inside of this sweet treat - and also because it's quite thick, and can coat the throat from inside. Pineapples are also really popular treats, and they are rather healthy, too - and not only because they are fruits full of vitamins and fibers! There's an enzyme called bromelain that can be found inside the pineapples, which reportedly has an expectorant effect. The plant itself was used by aboriginals because of its anti-inflammatory and digestive effect, but according to a 2012 study, this delicious fruit really do have an expectorant effect. Three slices of pineapple, or perhaps 2-3 deciliters of pineapple juice can be an ideal amount for most adults. Honey is one of the most popular and most ancient home remedies for a sore throat, perhaps even your grandmother, and your grandmother's grandmother have used it in the cold season. And good news is that according to a study published in the journal The Archives of Pediatric and Adolescent Medicine, honey actually does have some real benefits when it comes to improving a sore throat. Researchers found that those adolescents who ate honey before going to sleep had a better sleep quality, and even their coughing decreased. And if you use the honey with herbs that are believed to have some easing effects on coughing or a sore throat, you might be able to achieve an even better effect. Such herbs are, for example, the thyme, the chamomile and the sage.